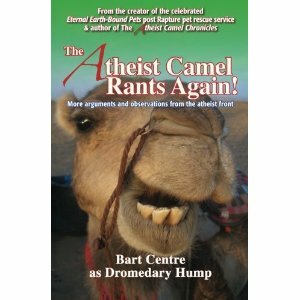 In this sequel to the popular The Atheist Camel Chronicles, Dromedary Hump (Aka,Bart Centre) delivers one-hundred essays on a medley of religious themes important to freethinkers and atheist activists. Drawn from the best of his writings, each short chapter chronicles real-life observations, poignant commentary on topical issues, and flights of fictional fancy that critically explore the havoc religion-think and the theistically afflicted impose on all of us. Unique in the genre, this book touts no theory or esoterica. Every chapter supplies the reader with easily absorbed, thought-provoking insights designed to educate, stimulate activism, and prepare the freethinker to challenge even some of the most inventive religionist precepts and apologetics.